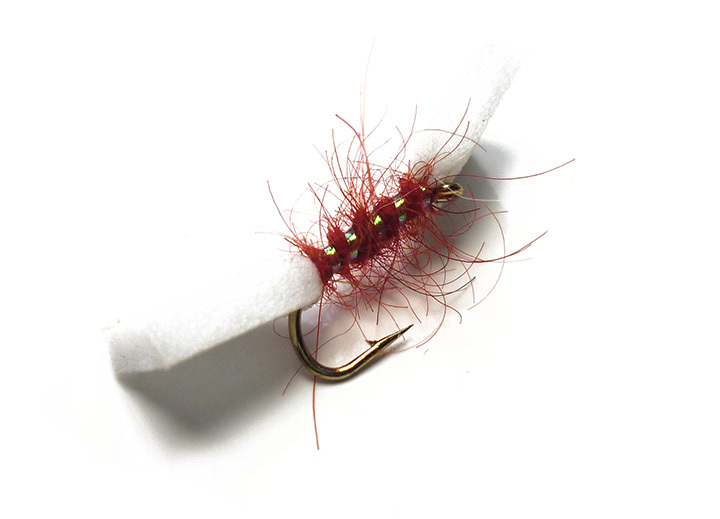 The Sugar Lump Red buzzer is a great top of the water fly and regularly takes big trout that are feeding on emerging buzzers. Practically unsinkable due to its foam breathers, the Sugar Lump Buzzer is best fished static on a floating line or with a very slow retrieve. A great black buzzer to use through the season. A great pattern to fish all year round for stillwater trout.